What’s Causing the Resurgence of Back-Up Generators? You are here: Home / Blog / What’s Causing the Resurgence of Back-Up Generators? Generators have long been a staple in rural communities, but their use has been sporadic thanks to modern technology connecting these remote locations to larger power grids that offer reliable electricity. As such, we’ve not had to bring out back-up generators because we’re less susceptible to losing power. However, as unstable weather conditions start to creep in across the world and weather-related natural disasters become more frequent, the demand for back-up generators has started to increase slowly and more families are beginning to purchase them for emergency use. It doesn’t take much for a remote location, or even an inner-city location, to be knocked off the power grid. Bad weather can easily take down infrastructure that leads to blackouts for days or even weeks, and the only solution to these power concerns is to get a back-up generator. The trend of global natural disasters has increased drastically over the past decade. Be it earthquakes, tsunamis or hurricanes, their destruction has been reported all over the media and warnings are handed out very frequently to residents living in areas that are prone to natural disasters. 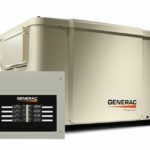 This has slowly started to change our mentality surrounding back-up generators and now, people are more likely to purchase them especially if they live in areas of the world that frequently see bad weather that could lead to natural disasters. According to officials, a weather event is considered a natural disaster if it leads to at least 10 fatalities and injures at least 100, or leaves them homeless or displaced. If the country where the bad weather occurs deems it a natural disaster, then it can also be considered one by global officials. Data shows that over the past few decades, the total number of natural disasters being reported has steadily increased, with 78 happening in 1970 to a total of 348 happening in 2004. Since then, these numbers have only increased. Scientists believe that a combination of natural and human-made factors are causing this increase in natural disasters, with global warming being one of the most commonly-blamed causes. In response to this threat, many people have taken it upon themselves to ensure that their livelihood isn’t affected by a natural disaster, and that’s where preparation like getting a back-up generator can come in handy. There are plenty of reasons to get yourself a generator. There are plenty of advantages and even if you’re not in danger of experiencing a natural disaster, there’s still plenty of reason why you should get yourself a generator for back-up purposes. There’s nothing worse than losing work to a blackout or delaying your work because of an electrical fault. Not only does it cause problems in your career, but it can also spoil food, prevent you from using your heater or air conditioner, and could even disable vital health equipment. A generator gives you peace of mind, knowing that no matter the conditions outside, your home will stay powered throughout the ordeal. This gives you access to all of your communication devices, it keeps vital equipment turned on, and it ensures that your food stays refrigerated. If there’s even a slight fluctuation of power caused by bad weather, then it could ruin a lot of your electronics. Computers are especially sensitive to fluctuations in power and without a stable current, you could lose data, short electronics and ultimately lose a lot of money. Generators will help provide a stable flow of power so that if there is a temporary drop, your generator will kick in until the outside power is stable again. Generators are built to last. They’re not machines that need replacing every couple of years and they’re certainly sturdy enough to withstand adverse weather. 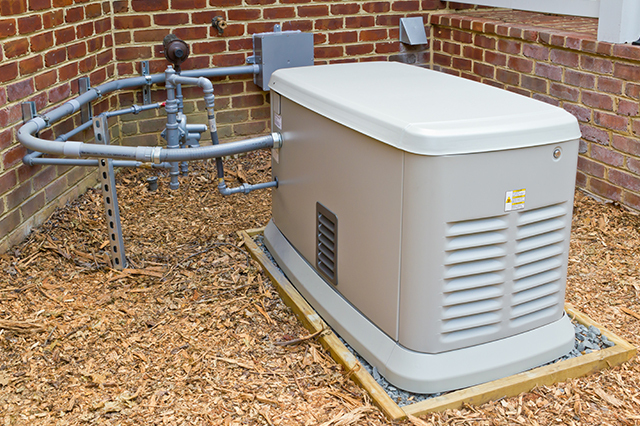 This means you can install a standby generator outside and you won’t need to worry about the weather damaging it. You also only need to purchase a single generator, be it a standby one or portable, and you’ll have a back-up power source ready for any situation. A generator can be used even when there’s no emergency going on. If you want to power a device without using long extension cables, then you can simply take a generator with you. Fill it with fuel and then you’ll have power for ages even when you’re not at home. This is great for camping and general outdoor use, and you can get very small generators that can fit in the back of a car. There are two main types of back-up generator; standby and portable. Standby automatically kicks on when you need it, meaning there’s nothing you personally need to do outside of keeping it fueled. These are stationary units that won’t be blown away by heavy winds and they run quietly enough not to be a bother. Portable ones, on the other hand, are smaller and don’t offer as much power generation, but can still be plugged into your home’s electricity grid to provide power to your entire home. It depends on your needs. 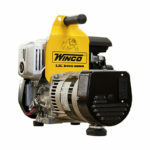 People purchase generators depending on what they plan to use it for. For example, if you want to protect your home and ensure you have electricity even during a storm or poor weather, then a standby generator can give you that peace of mind. However, if you just want a portable generator to keep the lights on during a temporary blackout, then there’s a solution for that too. Generators have plenty of uses and they’re no long expensive investments, making them ideal for families of all sizes and are even used in areas that don’t suffer power outages due to adverse weather conditions. At Empower Generators, we specialize in generators so if you are considering investing in a backup one, do not hesitate to contact us. We are pros in the field; our assessment will guarantee you get the best generators options available. https://www.empowergenerators.com/wp-content/uploads/2018/08/Home-Electricity-Generator.jpg 426 640 Judd Dunagan /wp-content/uploads/2019/01/empower-generators-logo.png Judd Dunagan2018-09-05 09:17:252019-03-01 10:40:17What’s Causing the Resurgence of Back-Up Generators?